This week, Apple’s free app of the week is a game called Lost in Harmony. Normally it’s $3, but you can get it free from the iTunes Store until Thursday, November 10th. Let’s review the app and see if it’s worth a download. This week’s free app is the popular endless running game Lost In Harmony. Normally it’s $4, but you can get it free from iTunes until Thursday, November 10th. I’m not a big fan of endless running games, but Lost in Harmony almost converted me. Along with the basic concept of “run until you die”, the soundtrack and visuals are fantastic. The rhythm component forced you to keep along with the beat. The gameplay includes not just swiping but tapping with both fingers. I had trouble keeping up at times. 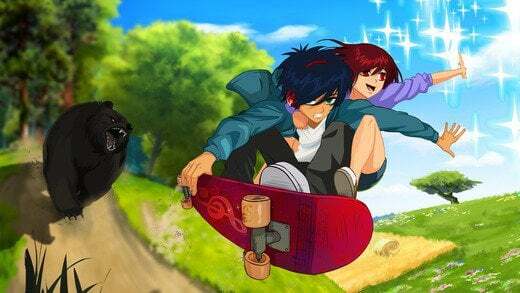 This game tells a story of a young boy named Kaito and his companion Aya. 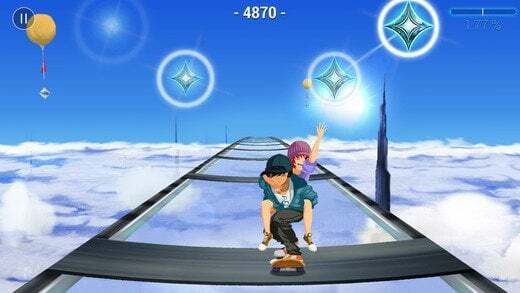 They skateboard through a futuristic world avoiding getting hit by travelers on the road. As a player, you get to customize Kaito and his accessories. Some of these upgrades are in-app purchases, but lots of the customization is free. 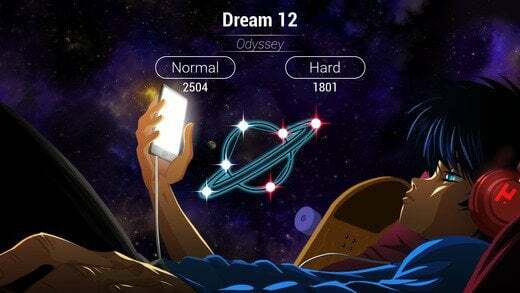 Once you get used to the game, you can create and share your levels. If you enjoy anime, you’ll love these games. It immerses you into a comic book adventure. I enjoyed playing just for the music and the gorgeous backgrounds. I’m not used to these type of games, so I did find the controlling of the character a bit challenging. The game is available in many different languages and by just going off the reviews in the app store, it’s also extremely popular (4.6 out of 5 stars). The app loads decent on my iPhone 5s and takes up about 150MB. I can see this game entertaining both adults and kids. Little kids might get scared by some of the visuals. I recommend the iPad version of the game because my small iPhone screen doesn’t do it justice.